Rosy fingers of dawn rise across the Bosphorus, the waterway which separates the continents of Asia and Europe and also divides Istanbul. On the left, the old city wall embattlements rise behind the ruins of an ancient bath. 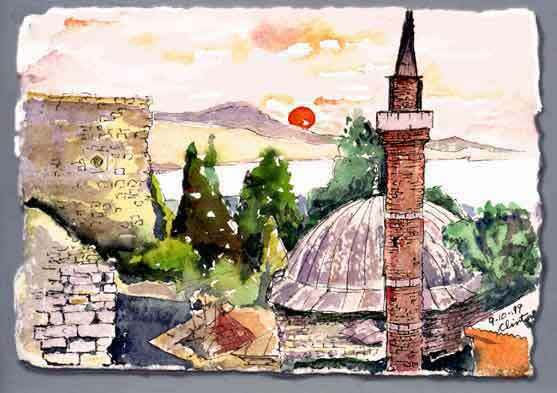 Istanbul has elegantly combined ancient history and modern development.